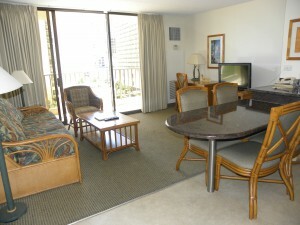 The Waikiki Sunset is a Condo Hotel. 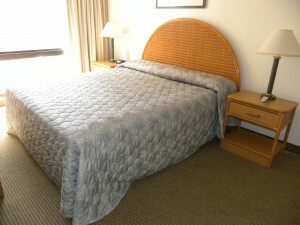 While each unit is individually owned, most owners opt to keep their unit in the Aston Hotel rental system. This option allows owners to earn an income from the hotel, while still being able to utilize their unit during their vacation needs. 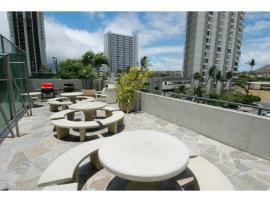 The building is located just 2 short blocks from Waikiki Beach and is composed of 435 units on 37 floors. 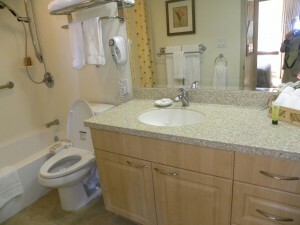 A typical floor plan has 12, one-bedroom units, 2, two-bedroom units and a community laundry. Most units are Fee Simple. 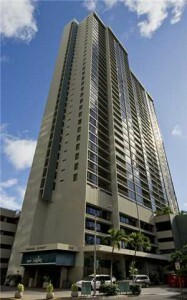 One bedroom units are approximately 550 square feet, are fully furnished and have a small lanai, kitchen/ living room combo, separate bedroom, bath and Central air. A sofa bed allows space for extra guests. 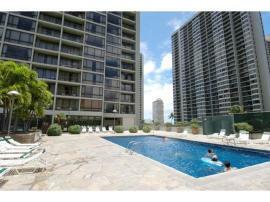 Some units have Ocean views and the two bedroom units face Diamond Head. The building was built in 1979. 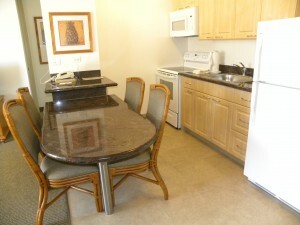 Amenities include Central air, Meeting Rm, Patio/Deck, Pool, Sauna, Storage, Paddle Tennis Court, Trash Chute, BBQ, Community Laundry.